Gem Slash – a fast-paced puzzle game that challenges you to fight against physics! A towering jumble of gems fills the screen, taunting you with its chaotic mess of color. 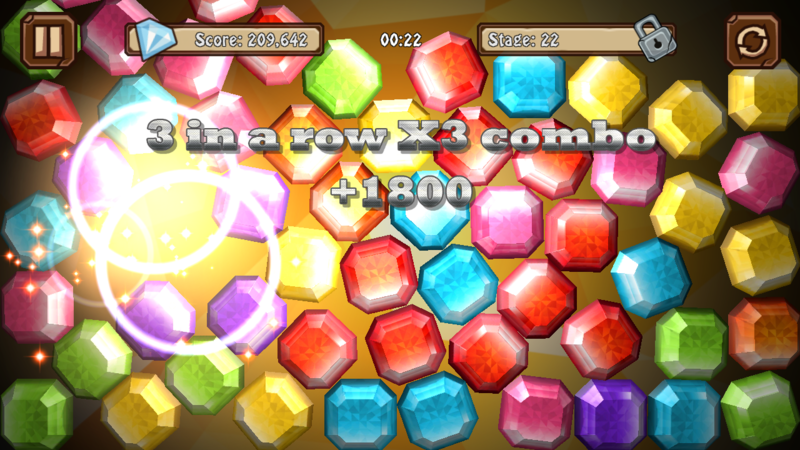 Swipe the screen to make like-colored groups of gems disappear. 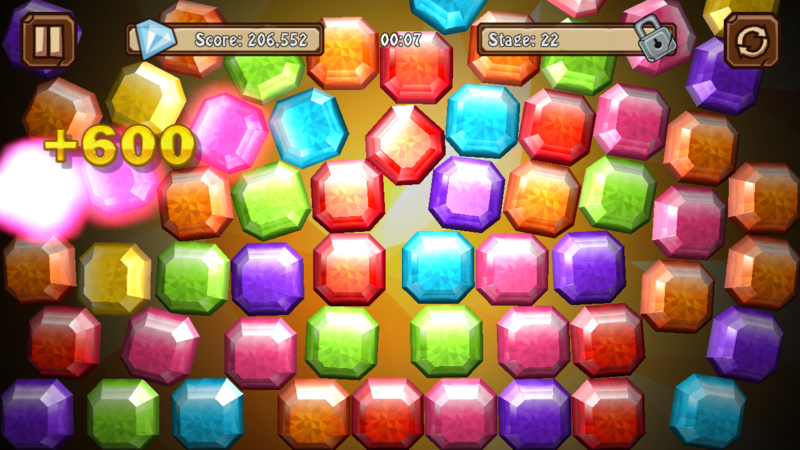 The more you match the more points you’ll receive, so no matter how many gems are rattling around, just keep swiping! It may look simple, but you’ll need to summon all of your skills to master this challenging puzzle game. Bonus points are awarded for big combos and quick reflexes. Match fast enough to unlock all 36 achievements, and with a little luck you might even land a spot on the global high score board! 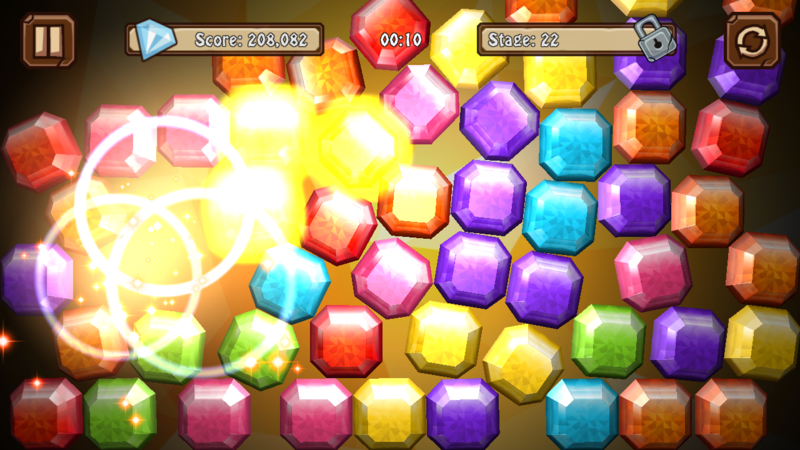 Gem Slash is an action-oriented casual physics puzzle game that’s fun for everyone! 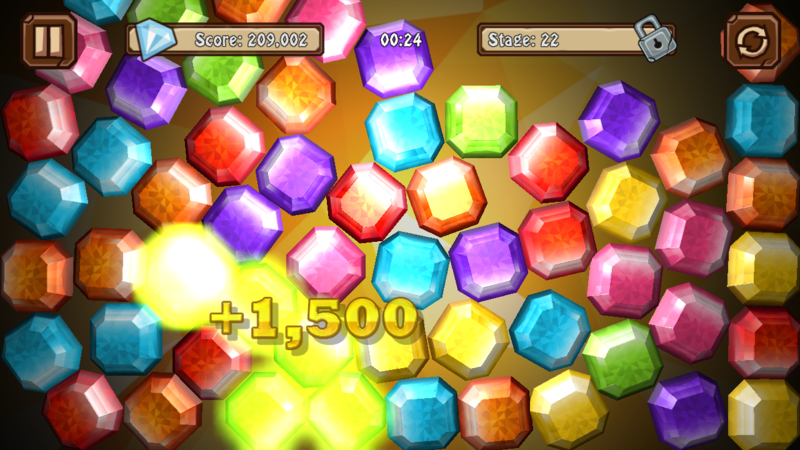 Gem Slash is available for all major mobile platforms. And the best of all – it’s free!